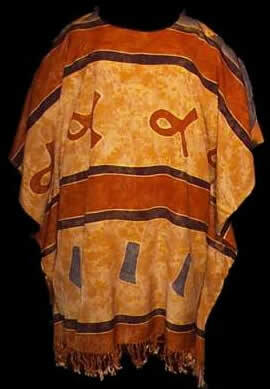 Batik poncho from Bali Indonesia. Plus size clothing for women known also as kaftan or tunic. Made of batik fabrics from Bali. Batik clothing and batik dresses for women from Bali. Buy woman clothing and fashion wear direct from the factory in Bali Indonesia. Wholesale only, export quality. Rayon fabric poncho from Bali Indonesia. These women clothing available in various colors and motifs. 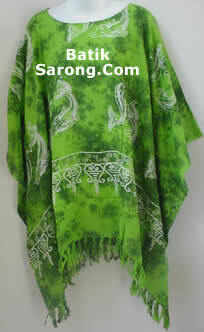 All sarongs and pareo on our web site is possible to use as poncho or kaftan. They're very comfortable and popular. Suitable to use for casual occasion during summer season or on the beach. 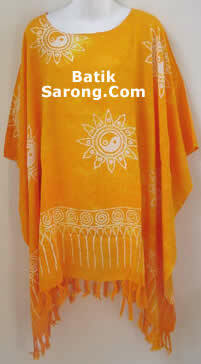 Go to our sister site www.BatikClothing.com for more batik poncho from Bali. BatikSarong.Com owned by CV Maya Tax id: 02.612.185.5-903.000. A manufacturer and exporter company for Bali Fashion Jewelry located in Indonesia. Bali jewelry made of beads combined with other natural materials such as mother of pearl shells, wooden beads, sea shells, stone and many more organic materials. 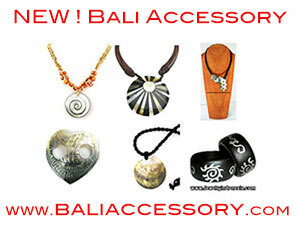 We're adding new Bali accessories regularly. Visit our sister site www.BaliAccessory.com for our latest addition of accessories and fashion jewelry made in Indonesia. Please remember that we're wholesale only. Minimum order apply. Contact us if you need more information.